Games involving candy may increase children’s appetite for candy, according to a study published in Current Opinion in Behavioral Sciences. Research suggests two-thirds of children play an Internet game with embedded advertisements at least once per week. Most of these games promote candy and sweets, but unlike on television, the advertisements might not appear to be advertisements. Only 6% of children who play these games are aware of the advertisements. 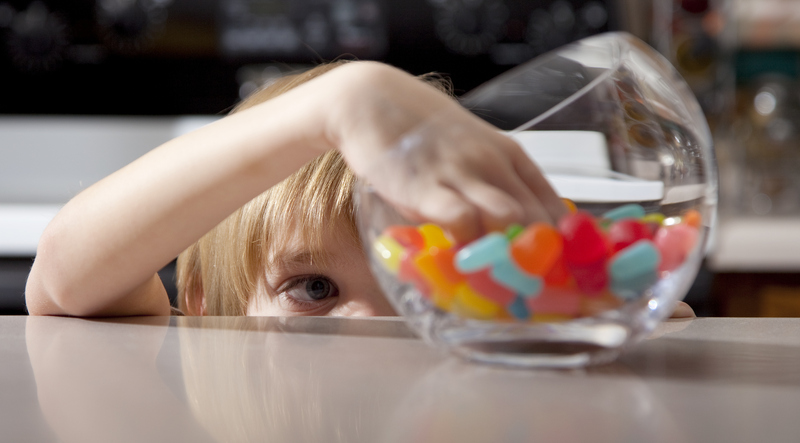 Do Candy Games Make Kids Want More Candy? To test the effects of covert advertising, researchers showed games with hidden food advertisements to more than 1,000 children and then offered them candy. Compared to children who did not play a game with a food advertisement, children who saw these ads ate 55% more candy shortly after playing the game. The study’s authors suggest children do not recognize embedded ads as advertisements, even when a logo or other marketing material is apparent. Thus, they do not recognize the games are trying to influence their opinions and change their behavior. Body mass index (BMI) measures the relative body size of both children and adults. Children with BMIs over 30 are classified as obese, while those with BMIs over 25 are overweight and at risk of becoming obese. Although researchers found children who ate candy after playing the games did not have higher BMIs two years after the study, they did determine children who sought an apple rather than candy when they were hungry had lower BMIs two years later. 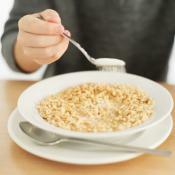 The study’s authors say obesity in children is often cyclical. Children adopt unhealthy habits, and as those habits become more prevalent, they fail to learn healthy habits. This increases their vulnerability to weight gain, which can render them vulnerable to a wide array of health issues. A Ban on Ads Targeting Children? The study’s authors suggest food advertising directly contributes to obesity. Advertisements may subconsciously affect children’s behavior, they say, and therefore a ban on such advertisements could improve children’s health. Does Increased Empathy Cause Honest Children to Lie? Duh This is what the advertisers are going for! There has to be a parent out there somewhere who is providing all of these nutritional disasters for the kids. It’s not like they have the money to make the purchases themselves so there has to be an adult out there who is willing to tell them no when they are asking or demanding junk like this. Sometimes you want to be their friend but you just have to be the responsible party and put your foot down and say no. So take away their access to those games and voila! solution found! It’s kind of like when you go to the grocery store and all of the things that are terrible for our little ones are way down low on the shelves, right in their line if sight. I know that these things can entice but if you teach that you have everything in moderation and then you model that to them yourself then I think that you will have much healthier children overall. Same with the game usage- they don’t see you playing them all the time, they will not feel the need to either. Wouldn’t it be better to say that the games make them WANT to eat more candy but they do not make them eat it? The kids and the parents are the ones who make that decision.